Enhance the rider protection in your Polaris® RZR® XP 1000 with a set of these high-value, versatile Canvas Upper Half Doors. They install easily atop the stock door panels in designated, integrated mounting locations, and they provide shade and reliable protection from the elements in cold weather conditions. Enhance the rider protection in your Polaris® RZR® XP 1000 with a set of these high-value, versatile Canvas Upper Half Doors. They install easily atop the stock door panels in designated, integrated mounting locations, and they provide shade and reliable protection from the elements in cold weather conditions. 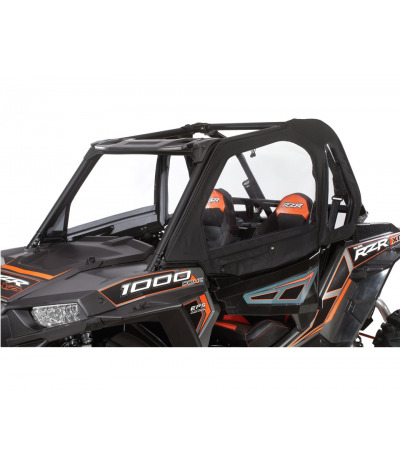 These RZR® doors have zip-out clean poly windows that provide light and visibility or, when removed from the RZR® XP, increase the airflow into the cab area. The 23 oz. mold resistant and UV stable material give these doors strength and durability against harsh weather conditions. The Steel tube framework and vinyl crack resistant material all reinforce the strength of the doors. 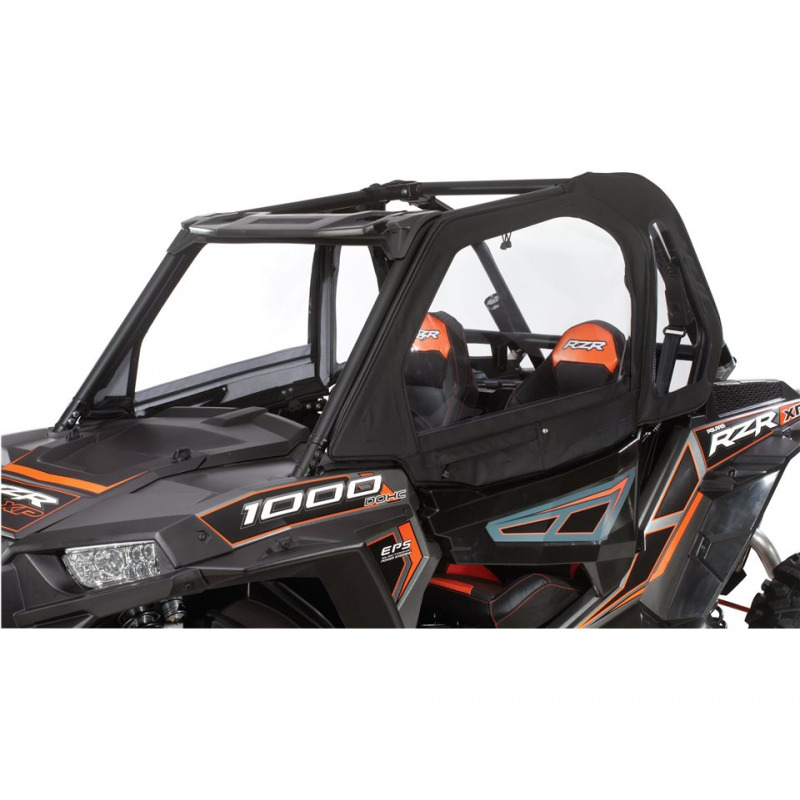 Once installed, these RZR® Canvas Upper Half Doors swing open and closed with the stock doors to provide rider ingress and egress. Combine with Polaris® full windshield, lower doors, rear panel and canvas or aluminum roof (does not work with Poly roof) for complete coverage in cold weather conditions. Includes: Canvas Upper Half Doors and mounting hardware.